The winner of the 15K Twitter @FactOrFaked winner was announced on 6/22/12. Congrats to the 15K Twitter @FactOrFaked Winner, @x-factor___! 6/19/12 The Quest to 15K was realized! 1)Tweet: I want the @FactOrFaked Fan Buttons. Good Luck, Thank you for following. It only takes 5,000 of you to get 1 follower. The @FactOrFaked Twitter will have a giveaway at 15,000 and 20,000 followers. one (1) winner when the twitter hits 20,000 @FactOrFaked followers. Entries must be in before Friday, June 22nd at 12 p.m. pacific. 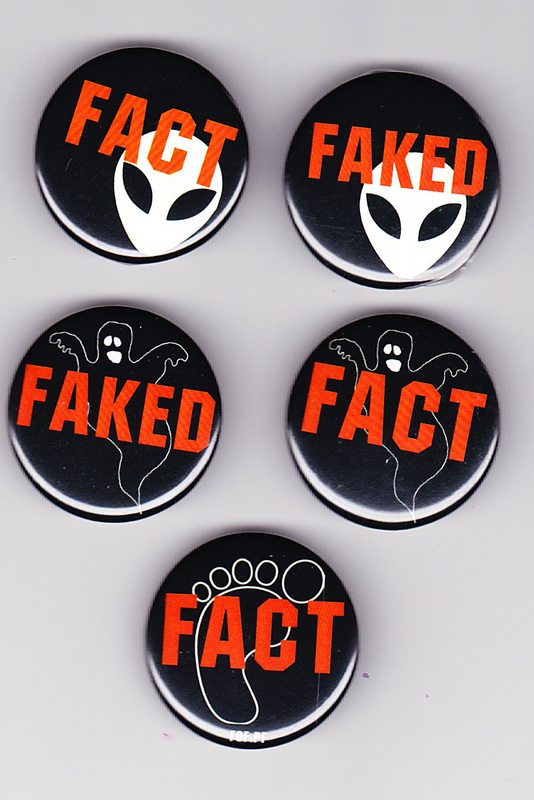 Contact me if you are interesting in purchasing these Fact or Faked Fan exclusive buttons. Not available anywhere else.